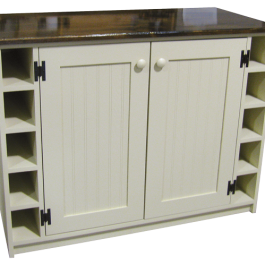 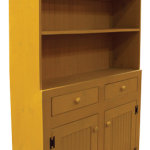 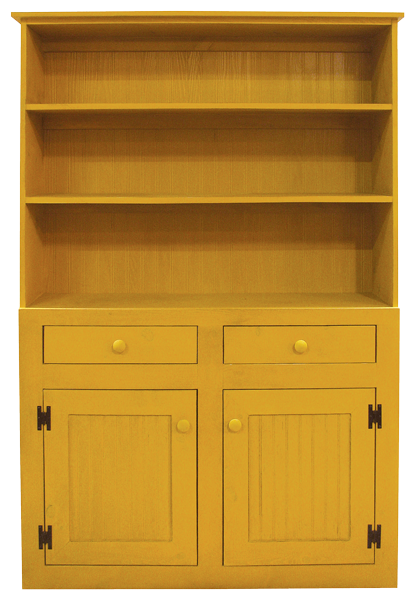 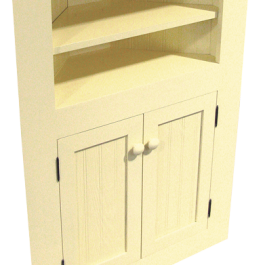 This is a modification of our standard 4 ft. hutch, with drawers added for extra storage. 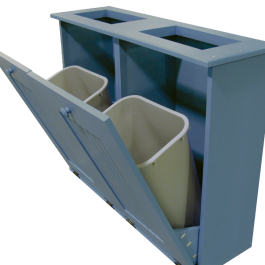 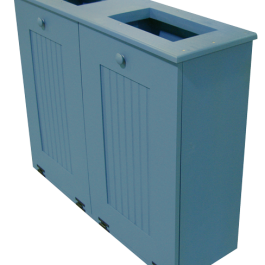 This dual piece can server both as a trash bin and a recycling bin and features tip out doors for the easy removal of bins. 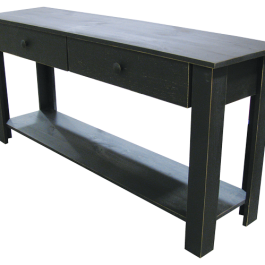 Clean lines, sturdy legs, two surfaces for display, and two drawers for storage make this custom sofa table as functional as it is stylish.